‘E-Motion’ ink roller pen by Faber-Castell. 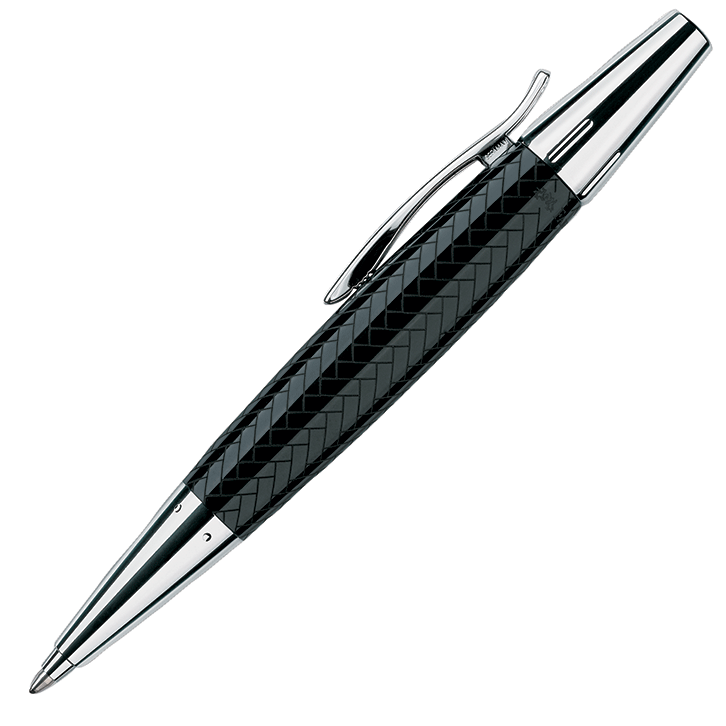 This high quality rollerball has a glossy black, ‘precious resin’ (synthetic material) barrel featuring a ‘croco’ pattern. 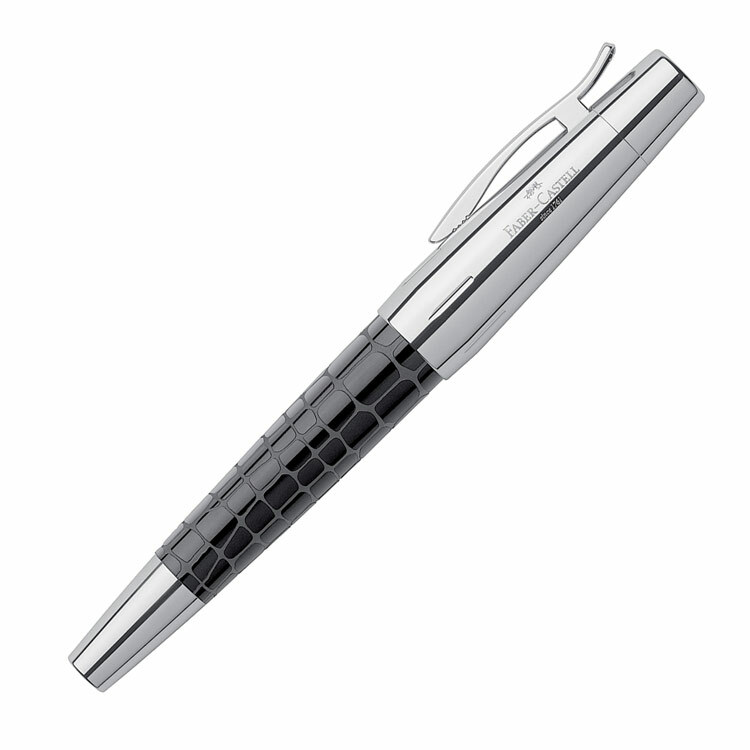 The cap, front and end pieces are made of chrome-plated, highly polished metal. 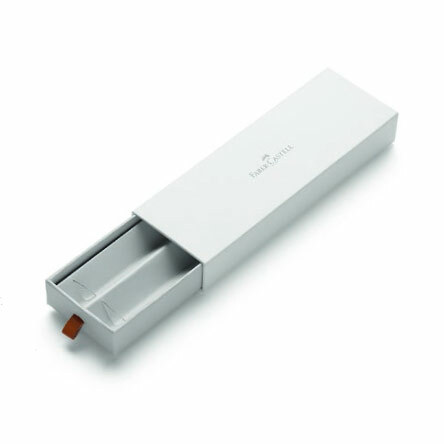 The writing instrument uses free-flowing, black, fast-drying ink. Supplied in a lovely Faber-Castell gift case. 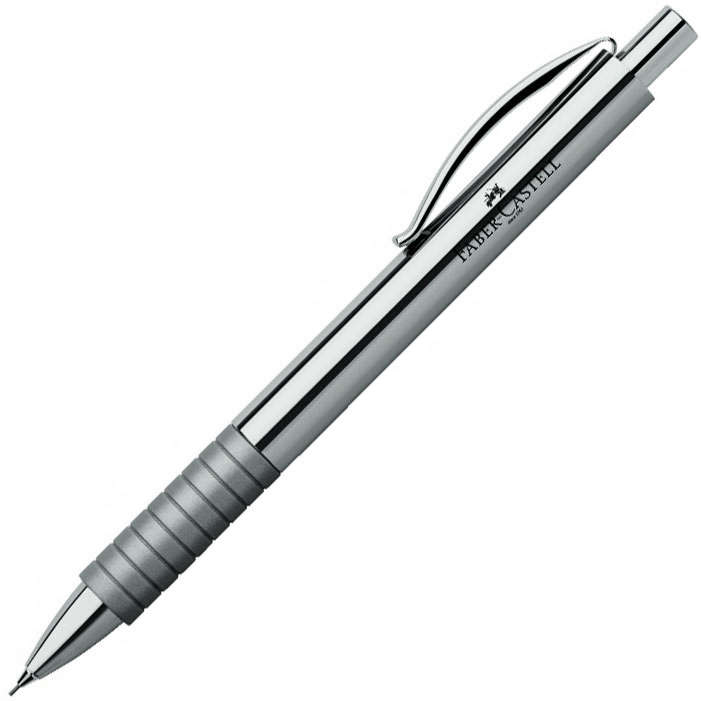 ‘E-Motion’ rollerball pen by Faber-Castell. This high quality ink roller has a glossy black, ‘precious resin’ (synthetic material) barrel featuring a ‘croco’ pattern. 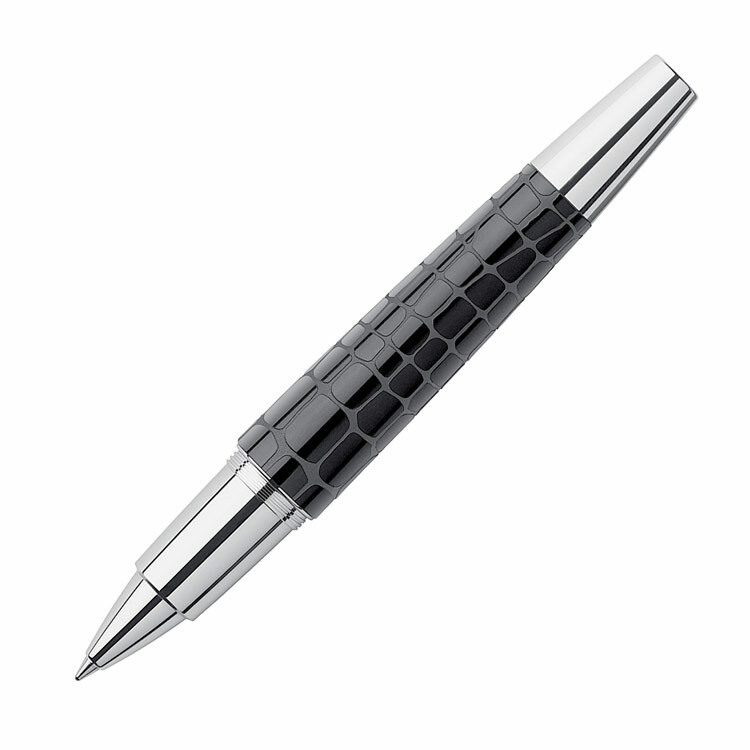 The cap, front and end pieces are made of chrome-plated, highly polished metal and the pen has a spring-loaded clip to keep the pen safely in your pocket. 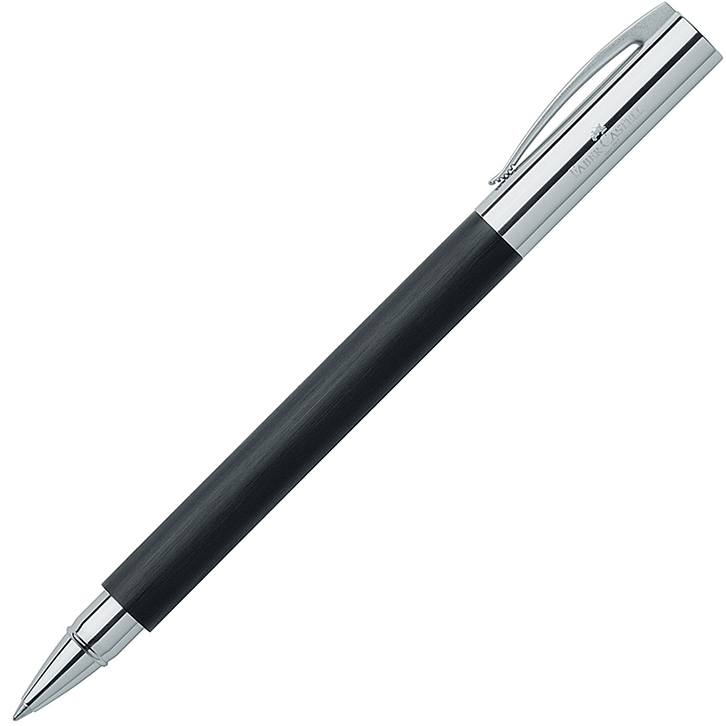 The writing instrument uses free-flowing, black, fast-drying ink. Supplied in a lovely Faber-Castell gift case. 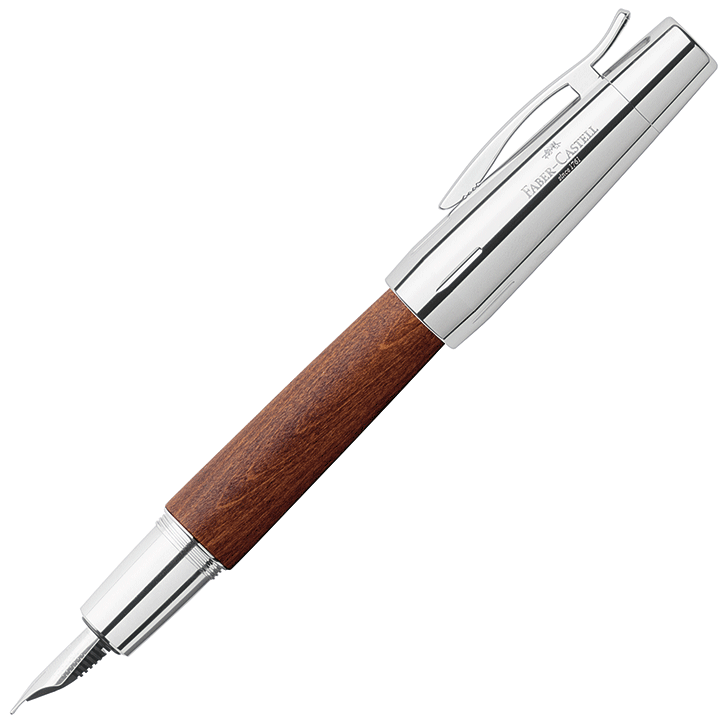 Also available in a matching ballpoint pen, propelling pencil and fountain pen.